Donald Sterling has filed for divorce from wife Shelly Sterling, according to his attorney Bobby Samini, who confirmed to Eyewitness News. The divorce petition was filed in Los Angeles Superior Court Wednesday afternoon. 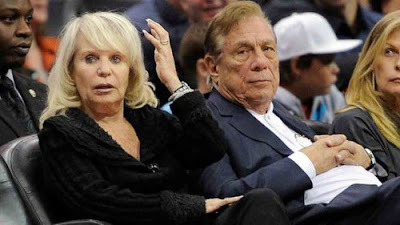 The divorce comes several months after a judge ordered V. Stiviano, Donald Sterling’s alleged mistress, to pay Shelly Sterling $2.6 million. Judge Richard Fruin Jr. said the money was community property from six decades of marriage that was secretly spent buying V. Stiviano a house, a Ferrari and other luxury gifts. It also comes nearly a year after Stiviano’s recording of Donald Sterling making racially offensive remarks bounced him from the NBA and cost him team ownership. The Sterlings made a fortune in real estate, and will likely split the $2 billion they amassed from selling the Clippers.